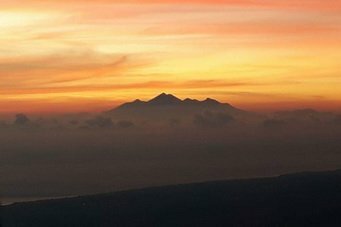 Climb Mount Batur just in time for the spectacular sunrise over the eastern sky. 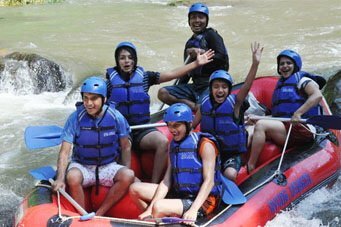 Our guides will take you there. 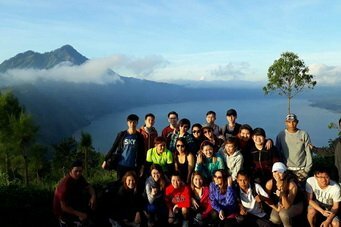 Combine your sunrise hike on Mount Batur with white water rafting - two adventures in one day! You gotta be in shape for this one, but once you get to the top, wow! What a view! It's worth every grueling step. 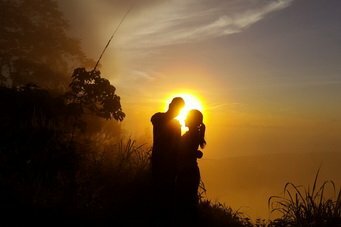 After your sunrise climb atop Mount Batur, soothe your muscles in the natural hot springs below. 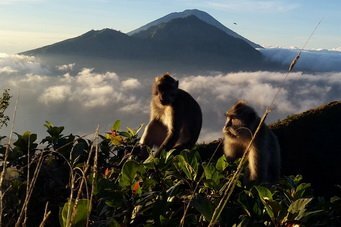 Experience the Bali wilderness by hiking the trails of Batur and the Caldera for some spectacular scenery. 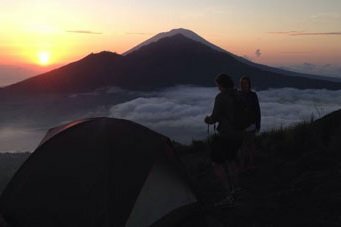 Hike up Mount Batur, camp under the stars and wake up to the sunrise on a live volcano. 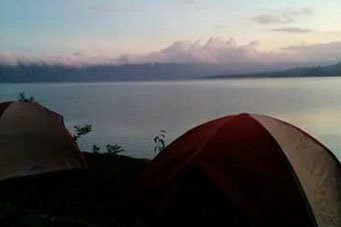 Hike the volcano, take a swim in Lake Batur and camp along the caldera on your two-day adventure.